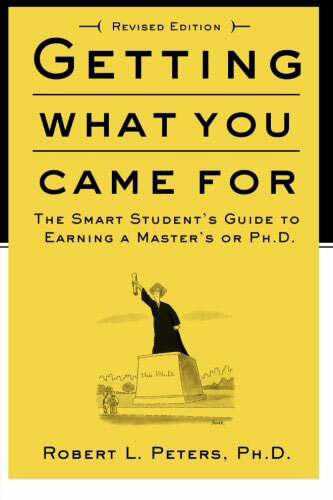 Here’s one of the best gifts I received while planning for graduate school: the paperback “Getting What You Came For: The Smart Student’s Guide to Earning an M.A. 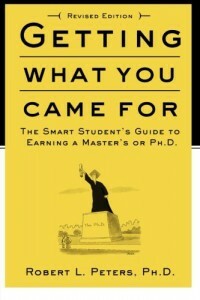 or a Ph.D,” by Robert Peters. I recommend this book for anyone making a similar decision. Peters now has his doctorate in biology from Stanford University, but only after years of frustration and detours. 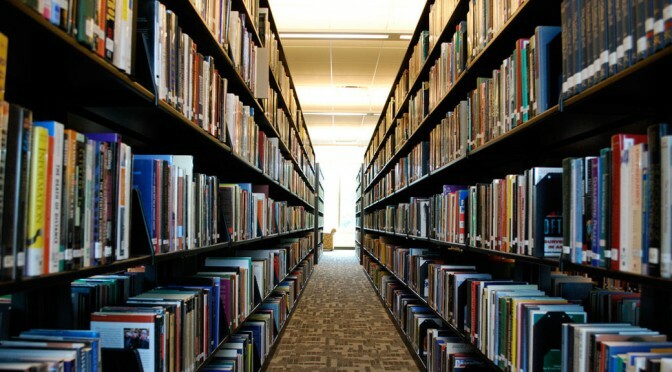 His plainspoken guide to the ins and outs of deciding whether to go at all, how to pay for it and what to expect of academic departments both during the application process and after acceptance helped me gain the confidence to know that I can avoid many pitfalls that can befall master’s degree candidates such as myself. I plan to soon re-read this chapter: “The Thesis Topic: Finding It.” Yes, despite his warning that not knowing this could extend my time to degree (and costs therein) by a significant margin, I’m still mulling this over. The only drawbacks to the “current” edition of the book: It’s from 1997. I’m sure a lot has changed since then (such as the advice for buying computers). Also, there is no Kindle version. Still, I urge you to get it for yourself, or give it to someone thinking of returning to college as an adult. Next Next post: Reading roundup: Balanced-budget pitch, “Parks” returns — plus, ship your enemies glitter!